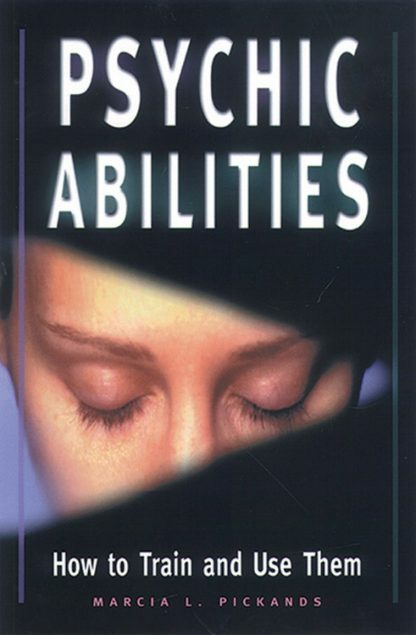 Pickands helps you to develop your psychic potential with an extensive series of exercises. You'll work with symbolic patterns, whether they be tarot cards, numbers, dreams, and learn how to "read" psychic information in a fluent manner. Also includes techniques for communicating with the departed, how to conduct a vision quest, and ethical considerations. Marcia L. Pickands is a remarkably versatile teacher with training in psychology, theology, ceremonial magic, and many other esoteric, metaphysical and magical topics. In addition to her twenty-nine years experience as a psychic and spiritual adviser, and her twenty-two years as a mother, she has worked as an archaeological technician, an historic artifact analyst, a New Age bookstore owner, a Neo-Pagan High Priestess, and a martial arts master and teacher. She is one of the two spiritual successors to the late William G. Gray, renowned author of many fine books on magic and the Western Inner Tradition. In addition, Ms. Pickands is the current Senior Master of the Guardians, a Warrior-Priest Order dedicated to preserving, protecting, and promoting the Way of Light within this world by doing Good and averting Evil.